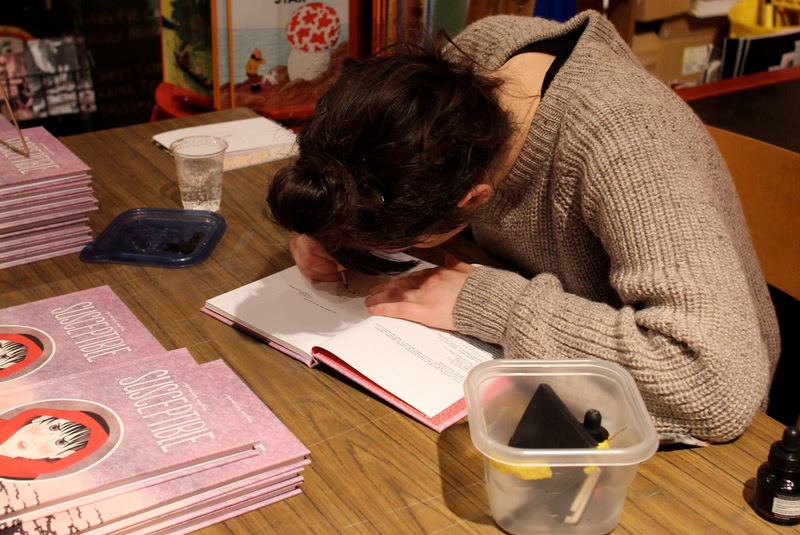 This Tuesday we had the immense pleasure of having Geneviève Castrée in store for the Montreal stop of her North-American tour with D+Q's english edition of her autobiograpy Susceptible. Before we go through the photos of the night, let's take a moment to acknowledge how delicious and colourful this meal looks. 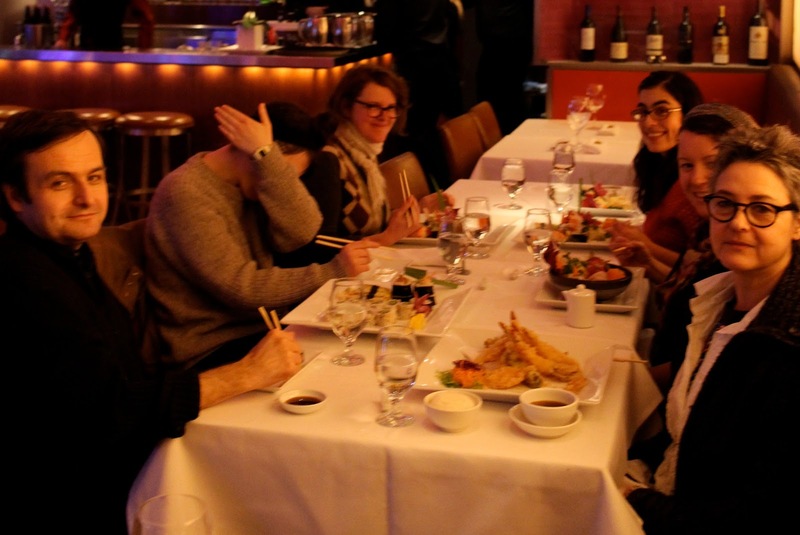 Left to right: the Chief, Not-Geneviève (just kidding, it's totally Geneviève, she's just being camera-shy), Julie Doucet, Julia, Peggy and Diane 'Obom' Obomsawin. The crowd early on. If you look closely enough, and if you know your Montreal comics scene well enough, you can spot several familiar faces, like Benoît from L’Oie de Cravan books. He put out Geneviève's first two books, as Chris just mentionned in this recent blog post. Here's Geneviève on stage, starting her presentation in front of the French (L'Apocalypse) and English editions of Susceptible. She treated us with stories and pictures of her childhood, which made me feel like we were getting this very exclusive bonus chapter added to the book... for free! A Q&A session followed, with topics ranging from the reactions of Geneviève's family to how she manages to draw the most perfect snowflakes. Here's Geneviève signing. I love that our Tintin rocket is in the background. Minutes before this, Geneviève was citing Tintin as one of the comics she read as a kid, along with Croc and Claire Bretecher's Frustrés (omg!). She left us with signed stock, come get some before it's too late! Here are Julie and Diane again. Speaking of Diane, you have to check out her new website, it's amazing. And when you're done, read this great interview with Julie for Lemonhound. Gotta love the Anouk Ricard shoutout! Look at these perfect smizes! 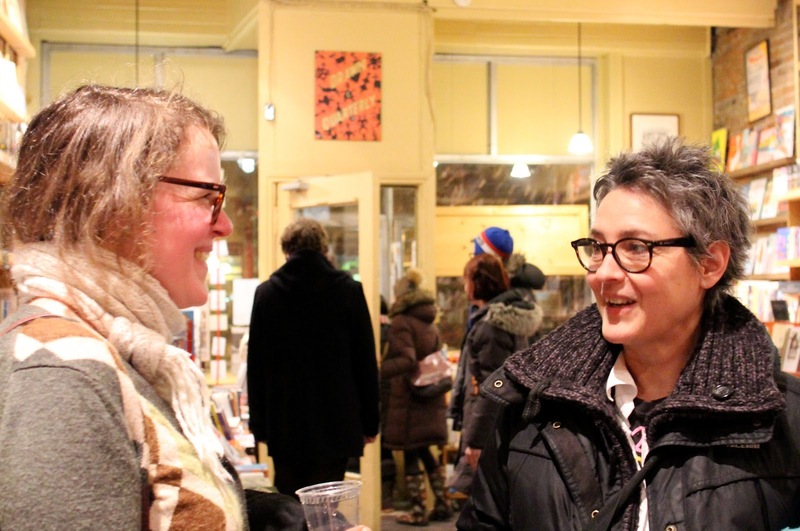 Thanks everyone for coming, and thanks Geneviève Castrée for your great presentation and incredible graphic novel. Geneviève is still touring, catch her in Portland, OR on Thursday March 7 (Floating World Comics) and in Seattle on Saturday March 9 (Fantagraphics Bookstore).